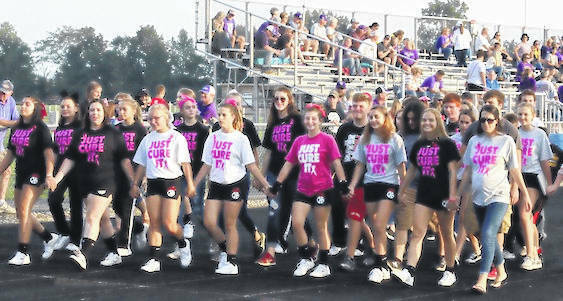 The Cardington FFA Chapter held its annual Fight for a Cure event uniting with powderpuff football to raise awareness. The chapter sold T-shirts and ribbons raising approximately $900 to donate to St. Jude’s Cancer Research. The event took place before the football game when FFA and cancer survivors walked the lap around the Cardington-Lincoln High School track.